Long time Rugby resident Eric Wilson (1935-2013) discovered Cumberland Plateau while a graduate student at Vanderbilt. He was a charter member of Tennessee Trails Association, a long-time advocate for the Cumberland Trail, active in developing, maintaining, and encouraging hiking trails in and around Rugby. We celebrate Eric’s March 17th birthday each year with this hiking event dedicated to his memory. 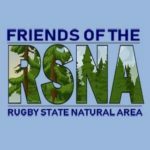 This year, Friends of the RSNA will lead the hike through the Rugby State Natural Area trails and trails along the Clear Fork River that Eric helped to clear and maintain. There are short climbs in several spots, but overall the trail is moderate. Total distance is about 4 miles, but folks can choose to walk about 2 miles by returning to the village center when we cross Rugby Parkway. Free registration is at 10:00 AM, EST at the Visitor Centre.